Today we had an amazing discussion with Dr. Patricia Ross. We had a very fascinating interview with Dr. Patricia Ross today. We had originally been scheduled to speak with Dr. Morton Walker about his book called Cancer’s Cause, Cancer’s Cure but that didn’t work out so Dr. Ross was gracious enough to step in and talk about this amazing book by Dr. Walker. In fact Dr. Ross knows more about this book than anyone other than Morton Walker himself because she edited and did the rewriting herself. She’s a master at turning technical data into bite sized absorbable information that’s easy to digest. She was so much fun to have on the show and she offered some amazing insights into cancer and DNA replication. I’ve been studying natural methods for healing cancer intensely since 2003 and I’m almost ashamed to say I have never heard of the work of a famous French scientist named Dr. Mirko Beljanski. Dr. Mirko Beljanski came up with an herbal protocol extremely high in natural alkaloids that cause apoptosis in cancer cells and it also helps to prevent DNA from being pulled apart and essentially damaged by toxins, chemicals, poisons and other lifestyle and environmental factors. When DNA gets damaged and pulled apart in this way, it will replicate in a damaged or altered state and this will create cells that are malformed causing the potential for cancer genes to be turned on by toxins we’re exposed to on a daily basis. The work of Dr. Mirko Beljanski is so groundbreaking and the story of his life is just as fascinating. What they did to Mirko Beljanski is the same thing they did to Dr. Burzynski, Greg Caton, Harry Hoxsey, Dr. Max Gerson and so many others. The list goes on and on. The FDA does not like people who are having such great success with cancer using natural and alternative therapies that don’t require drugs, chemotherapy, radiation or surgery. Cancer is a business and a multi billion dollar per year business at that. When that much money is involved you can best bet that they’re going to protect their brand at all costs. This is a fascinating interview with Dr. Patricia Ross about the life and work of Dr. Mirko Beljanski and how his discovers are still helping mankind today to get back in the driver’s seat of their lives and not fear cancer like we’ve all been taught. Who wouldn’t fear cancer if your only options are drugs, chemotherapy, radiation or surgery? When you realize you have the power and control over your life and treatments then you have nothing left to fear. Please pass this show on to any of your friends who might have cancer to spread the message of hope to them. Kate and I would greatly appreciate it. All you have to do to share is use the social media links at the top of this page to easily share this show with your friendsa nd followers! Guest Info: Patricia Ross, Ph.D. in English (NYU 2004), is the Publisher and Senior Editor for Hugo House Publishers, Ltd.
She has edited, rewritten, or ghosted over two hundred books in the past ten years and since the inception of Hugo House in 2008 has overseen the publication of over forty titles. one: her students had trouble writing decent sentences and thus business people would have the same problem, and two: she’s too much of an entrepreneur at heart and she knew how to help those struggling writers. She ventured out on her own, determined to teach people everywhere to write better. Since then she has tutored or trained hundreds of students, business professionals, and teachers, has helped inner-city children and first time juvenile offenders learn how to learn, live more ethical lives, and express themselves more fully in written and verbal communication. She has published twice, traditionally and non-traditionally, and was the “go to” editor for two print-on-demand publishers when she was asked to start a publishing company in 2008. Dr. Ross took up the challenge and created Hugo House Publishers, Ltd, a full-service hybrid publishing house that specializes in creating professional, well-written books that the author delights in creating and the reader finds enjoyable to read. Drew: This is Drew Canole at FitLife.TV. You’re listening to Justin and Kate of Extreme Health Radio. Remember we’re in this together. Justin: Well, thank you so much, everybody, for joining us on another edition of ExtremeHealthRadio.com. We’re so happy to be with you today. Today is Kate’s and my eight-year anniversary. Justin: We got married eight years ago today. Kate: I know. Can you believe it? Justin: Yeah, this is, for reference, Wednesday, November 20, 2013 and we got married in 2005. Justin: So thank you, everybody, for joining us on this special edition. It’s been a crazy morning so far. Our website—our entire website—went down, which is… There are no coincidences, I don’t think. So if you would like to join the show and you want to go to our ExtremeHealthRadio.com/Live and you can’t do it, I apologize. For some reason our website went down today. We’re going to be talking about cancer, cancer’s cause and cancer’s cure. Justin: Yeah, they don’t want out? I don’t know. Kate: They don’t want out. Justin: That’s conspiracy talk, but I don’t know. We’re not sure what’s going on, but we’re just happy you’re on the podcast and joining us. This is Episode 181, so you can go to ExtremeHealthRadio.com/181 and you’ll be able to join the conversation that way. You can also email us at justin@ExtremeHealthRadio.com. Justin: And you can also send a voicemail. There’s a little voicemail tab on our website. You can send a pre-recorded voicemail straight from your computer and you can also join the live chat room—if our website is up and running—that’s at ExtremeHealthRadio.com/Live and you’ll be able to ask questions and listen live on that page mostly. 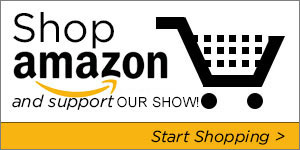 And then if you would like to support our work and keep our show free and you just so happen to make purchases on Amazon this holiday season or any time, you can go through our link and that would help support our show, keep it free, and so we don’t have to charge anybody for this—all these shows. And you can go to ExtremeHealthRadio.com/Amazon to do that every time you make a purchase. Kate: And it might just keep our website up. Justin: Maybe not enough people did it and that’s why our website went down. Justin: So we’re not sure what’s going on there but we’ll get to the bottom of that. Looking at our upcoming show schedule, we’ve got lots of great guests coming up. We’ve got Paul Huljich and he’ll be talking about stress management, and his website is StressPandemic.com. That’ll be a great show. We’re always interested in how stress affects disease and our health, so that’s going to be a great show. Then we have Vani Hari from FoodBabe.com and she’s a really interesting person doing some great work at FoodBabe.com, so that’s going to be a great show. Tune in for that one. 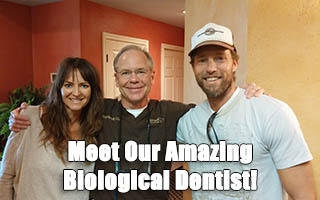 Then we have Dr. Patrick Vickers from GersonTreatment.com and that’s going to be a great show. He’ll be talking about the Gerson Therapy and how they work with cancer down there at the Gerson Clinic in Mexico. So that’s going to be great. And today we have Dr. Patricia Ross—really, really excited. She’s standing in for Dr. Morton Walker and we’re going to be talking about his book that she’s worked extensively on, called Cancer’s Cause Cancer’s Cure. That was published just recently and she’s got a PhD from NYU in 2004 and she’s the senior editor for Hugo House Publishers and she’s edited, written, rewritten and ghost written over 200 books in the last ten years and she’s worked extensively on this book called Cancer’s Cause Cancer’s Cure and we’re honored to have her today. So thank you so much, Dr. Ross. We really appreciate it. Patricia: Oh, you’re welcome. Thanks for having me, Justin and Kate. I’m always excited to talk about our books for our Hugo House books, especially the ones that I’ve worked so closely on. Justin: Basically, I learned that you almost rewrote this entire book, didn’t you? Patricia: …and I worked very closely with Dr. Walker and we got it down to the 240-page book that we have now. It was fascinating having to go back to my high school Biology and remembering DNA. Justin: Yeah, like doing a crash course all over again, isn’t it? Patricia: It was. It was. Thank goodness for the internet, you know? I laughed. I said, “What did we do without the internet before when we had to do research?” There was a lot of footwork where we just Google now. It’s like it’s right there. It’s great. Justin: Wow. So let’s go back a little bit to perhaps Dr. Morton Walker and where he got the idea to look into Mirko Beljanski and how they got intertwined and how Dr. Walker learned of Beljanski’s work. Patricia: That’s a great story. Like I said, so many great stories in this book. Are you familiar with Dr. Michael Schachter? Justin: No, I’ve never heard of him, actually. Justin: Wow. And when was this? Patricia: …about how his wife had passed of cancer and then he finds out about the Beljanski stuff. I lost my best friend to cancer and four months later I learned about the Beljanski stuff and I went, “Ugh,” you know? Patricia: We all have those stories, you know? It’s like, “Oh my gosh. What if we would have had it?” But anyway, so Schachter introduces Walker to the Beljanskis and they asked him to write a book on these remedies, and the story behind it as well, and so that’s how it got started. Justin: And when was this that Dr. Walker’s wife had passed away? Patricia: I believe it was in 2004. I think he met up with the Beljanskis in 2005. I’m going through the book. It’s like I lose details. Patricia: But in the preface, he talks about when he lost his wife and as you guys are talking, I’ll see if I can find the date when he did this. But I do know that it was in 2005 is when he met up with the Beljanskis. Justin: Now the Beljanskis are interesting because I was reading a little bit about their background and he actually got kicked out of the lab or the hospital or the clinic he was working in, right? Patricia: Oh no. No, no. It wasn’t just any lab and it wasn’t just any hospital. Patricia: It was the Pasteur Institute. Patricia: Yeah, yeah, yeah. So he’s from Serbia. Beljanski was from a little tiny town in Serbia. Because he was so incredibly intelligent, he gets picked to go be a foreign exchange student in Paris and he studies and he’s very interested in science and he finally gets hooked up with the Pasteur Institute and his mentor there, who was the head of the Pasteur Institute, took him under his wing and he then gets his PhD at the Pasteur and is doing some of the early work on RNA and DNA because of course this was before actually they had discovered the double helix. Patricia: His mentor passed away because he had his lungs damaged in World War I with the chemical warfare, so his mentor passed away and the new director really was in the school of DNA as king, RNA as a very distant, not-as-important second. Everything had to do with DNA and in fact, the new director of the Pasteur Institute won a Nobel Prize for his work in DNA, but Beljanski’s like, “No, RNA is very important.” And so there was just really… It was a clash of styles and political… Beljanski was very straightforward. He was a researcher. He’s like, “I can care less about all of this political stuff. I just want to do my research,” whereas the director really understood the importance of playing up the politics so that you get your funding and all that kind of stuff and they just basically clashed and Beljanski was then ultimately asked to leave the Pasteur and that’s when he really though then started his own labs and he was hired by the French government to find a remedy for radiation poisoning. And that’s actually… One of his remedies that he found—the gingko biloba tree—and he found it from not the green leaf—what we all know for the mind and things—it’s actually the golden leaf, so it’s the autumn leaf of the gingko tree that handles the radiation issues. And Beljanski knew of the gingko trees that had survived the Hiroshima bombing and so that’s what led him on that research and then from there, he then went to another… He started his own lab and it was funded by various private folk and that’s when he did his work on DNA. Up until this point, it was RNA and he did another thing with RNA handling the effects of chemo and radiation with RNA—stuff that he did with RNA. He found the gingko stuff and then at the very end of his career, he then discovered these botanicals that handled the problem, but he had to do this long research into DNA and RNA and how it all worked together for him to be able to discover what happened at the very basic level of the DNA structure. Justin: That’s interesting. So some of these botanicals could be really good for people these days with not only just preventing cancer, but with the Fukushima thing, right? Patricia: Oh, let me tell you—yes. Patricia: Gingko… It’s Natural-Source.com and people can look up Beljanski. If they’re interested in the book, they need to look up Dr. Morton Walker. They can go on Amazon and find the book and the book explains all of this stuff very, very easily. We did a big research project. We wanted to find out “What do people want in a book on cancer?” and they wanted to know the science but they didn’t want it to be really difficult and they wanted to know how people—real people—had been doing with this. But the gingko stuff—so you take the product that has the gingko and the two other botanicals and yes, it handles radiation poisoning, so just people going through all of the airport—if you’re traveling airport security a lot—you’re going to want to take… I take it because I travel through airports and then I take the gingko and then I know that I’m not getting the stuff that happens to you when you get radiation poisoning. Kate: So it’s mitigating all of the negative effects really. Patricia: It does. Oh, absolutely. It’s amazing stuff. I have taken it. I had a little basal cell carcinoma on my cheek last year and I took a couple of boxes and off it went. Justin: Wow. That’s amazing. So these are just supplements, yeah. Patricia: Yeah, it’s a supplement. It’s a supplement and it doesn’t taste bad. You just take it. I always took it on an empty stomach because I realize that you take your supps on an empty stomach and they tend to do better, but yeah, it’s a supplement. It doesn’t hurt. It’s not painful. It’s great. And you can feel the difference. And so, you know, I take it as a preventative. I’ve decided once a year I’m going to do two or three boxes—do a cleanse, do two or three boxes—because what it does—and you haven’t asked me this question and I’ll explain what it does when we get to that point in very brief terms—about how it handles the issues at the DNA level. So you can have DNA running around in your body that has been what Beljanski called “destabilized,” and I’ll explain what that is when you ask, but you can have this stuff; it’s not turned into cancer yet; they haven’t kind of congealed into their tumor yet, but we have this stuff running around in our body and it’s like it’s nice to be able to kill those cells off finally because the whole point with cancer is that they replicate themselves in infinitude. It’s like they don’t ever go through the natural process of cell death. Patricia: And it’s fascinating, you know? Justin: They don’t have that apoptosis, is what they call it, right? Patricia: That is correct. Well done, Justin. Patricia: It took me a couple times. How do you actually say this? But yeah, apoptosis is just that your cell replicates about 80 times and then it dies. Patricia: You know, think about it. I mean we have billions of cells dying in our body every day because that’s what they’re supposed to do. Justin: So where are they getting the programming from to die? Do you know? Patricia: In the DNA of cells. They’re actually programmed to do this series of events and then they kill themselves, basically, but before they kill themselves—before the cell dies; I guess I shouldn’t say “kill themselves” because that sounds kind of…–but before the cell does its thing, it replicates itself and this is the issue. And there’s another fascinating aspect to this because if you look at all the cancer research—the current cancer research—they’re all interested in the genetic aspects of it. But what Beljanski did is he looked at what’s called the “secondary structure,” which is very simply the mechanism by which the DNA separates, replicates, comes back together. So you have an enzyme in your body that tells the DNA to open up. So the DNA opens up. And then this enzyme says then it replicates itself, so it creates another half a strand—one strand—and then it closes itself up back into its nice, neat double helix structure. And then they go on and it does this… I mean this is happening in our body and it probably has happened however many million times just with us talking, right? Patricia: And what happens with a carcinogen is that it artificially pulls open that DNA structure and so the enzyme comes in and says, “Well, duplicate, duplicate, duplicate,” because that’s what we’re supposed to do. But while that DNA is being held open artificially by a carcinogen—chemicals, pesticides, whatever, hormones in our milk and whatever—as it’s being held open, the enzyme is constantly there telling it to replicate. So it replicates and replicates and replicates and replicates and it starts replicating out of control and then it closes itself up, but then it replicates open and you get enough DNA cells replicating like this out of control and creating new cells, you get the overgrowth of cells. Kate: Why is it that? I’m just so curious why is it that the carcinogens are taken as an enzyme? Like what is happening in the body that they’re allowing themselves to open? Patricia: You’d have to ask Dr. John Hall. He’s the microbiologist. Kate: Yeah, yeah. No, I was just curious. For sure. I don’t know why that just stuck out to me as interesting. Patricia: And I ask that. I’m like, “Why is that?” and I don’t know if they really know. All they know is that as a chemical—you’re right—these chemicals, especially manmade chemicals…. Think about how much pesticide is on our food or if you get radiation—radiation does the same thing. It’s like it does…. It just pulls apart that DNA structure because it’s nicely wound up; it’s an amazing structure, but it gets pulled apart. The carcinogen pulls that puppy apart and then the enzyme comes in and it does its thing. So why it mimics the enzyme, who knows? Justin: Wow, that’s interesting. We’ve got a couple more questions. We have to take a little break here but we’re going to be right back with Dr. Patricia Ross. I’ve got a couple questions about if stress can do this and how much toxins would have this kind of an effect, if it’s just a one-time exposure or the actual amount. Justin: So we’ve got a lot of questions for Dr. Patricia Ross and this is fascinating stuff and check out the book, Cancer’s Cause Cancer’s Cure and I think you’re really going to enjoy it. We’ll be right back after this break. Justin: Kate and I have had our sauna for about a year now, I’d say, when we first got it from Phil Wilson. It’s an incredible machine. We use ours about every single day. Kate sits in about 20 minutes and I sit in there for about a half hour, usually watch a documentary, and it’s extremely relaxing. It’s a really, really incredible machine. And if you go to ExtremeHealthRadio.com/Sauna, you can learn all about it. We did an entire hour interview with Phil Wilson. You can check that out. You can look at the pictures of us with it. Then you can watch videos on that page. It helps you to sleep really, really well. You can lose a lot of weight with it. You can burn, I think, around 600 calories in about 20 minutes or so. It improves your skin, increases circulation all over the body and circulation is critical for your health. You can prevent and reverse diseases with it. If you have a cold or a flu, it’s incredible; it heats you down to the core. It heats four to six inches inside your body, so it’s really incredible. A lot of people use it for cancer as well, so if you have any kind of “incurable” disease, you can use it for that. And Dr. Shade is the foremost authority on detoxification and listen to what he says about it. Shade: How do I detoxify from plastics? I mean you guys are using a sauna and what does a sauna do for us? A sauna is great. It’s moving a number of different toxins. Remember we talked about the mice that if you put PCBs in there, then that made the mercury all that much worse? And sweating moves out a lot of plastics, volatiles, fat-based toxins. It’s really good at moving those out, sweating those out. So that’s how you’re getting those out and those are contributing to this synergistic soup inside the body, and so that’s why they’re good is they’re taking out a bunch of the different things in the soup. Justin: And Daniel Vitalis, one of our favorite guests, what do you have to say about the sauna? Daniel: When you go into the sauna, like a far-infrared sauna like you discuss, your body goes into a deep relaxation mode and your sympathetic nervous system shuts down and your parasympathetic nervous system turns on. And when that’s active, that’s the nervous system—part of your nervous system—that’s active when you meditate. That becomes active and your detoxification pathways open up wide. Why is this important? It’s important because when you go running and you sweat, you’re not necessarily eliminating very much toxicity from your body. But when you sweat in the sauna, you eliminate a lot of toxicity from your body. So sweating in a relaxed state is how we eliminate. The other thing is that what’s wonderful about the sauna is that it puts you in a parasympathetic nervous system response as if you were meditating. So it’s almost a hack. It’s like a trick to get yourself into a meditative, relaxed state, to decompress stress, to reverse the effects of stress, and to get your body eliminating deep, deep toxicity that’s stored in your body fat because it can come out in the oils of your skin. So I think sauna is one of the most crucial detoxification… really health practices that we can take on, especially in this era of heavy toxicity, particularly fat-soluble toxins. Justin: This sauna is really, really great. They offer payment plans because if you buy it through PayPal, it’s 100% secure; you don’t even need a PayPal account. I think you can do a payment plan through PayPal. It’s got low EMF electromagnetic fields coming off it. It’s portable, so that means you don’t have to knock down a wall in your house. You can just move it from room to room. It sets up in about two to five minutes. It’s super easy to clean. All you’ve got to do is wipe it down when you’re done and wipe the neck down. It produces energy and heat inside, very, very evenly throughout the whole machine. All you have to do is sit in there for about 15 minutes a day. And the great thing I like about it too is it requires zero preheating. So you turn it on and you’re starting to get warm and you’re starting to detoxify with that far-infrared light almost immediately. So it’s really great. It comes with a one-year warranty. It’s about $990 plus $25 shipping and that’s really, really a good deal because if you look at most of the regular saunas out there, they are in the $2,000-4,000 range, so this is really, really a good deal so check it out at ExtremeHealthRadio.com/Sauna. 100% listener supported. Extreme Health Radio, opening minds and transforming lives worldwide. Don’t forget to join our thriving community for health tips, inspiration and show updates at ExtremeHealthRadio.com/Facebook. Justin: Well, we are just having a crazy morning here with technology. Aren’t we? Kate: I can’t help but laugh. Kate: But we’re making it through. Justin: Half our system’s down and the live show’s not working and there are all kinds of technical issues, yet we’re still plodding along, aren’t we? Kate: The little computer demons don’t want out there. Justin: It’s crazy, isn’t it? Justin: Well, hopefully on your end, as the listener, there are no hiccups and everything sounds great on your end. So we’ll put together this podcast for you, edit it and make it sound nice and pretty, nice and tight. This is a great show with Dr. Patricia Ross. Before the break, we were talking about some of the carcinogens that pull apart the DNA strand and then as the DNA replicates, it causes this weird mutation to happen. Kate, did you want to ask a question about the enzymes first or did you want…? Kate: No. Yeah, let’s move on. Justin: Well, my question was, Dr. Ross, about some of these toxins and things that we get exposed to, how do they affect the cancer cell? Like you just said before that it pulls apart the DNA, but is there a certain level that if we get exposed to it becomes too much or is it minimal? Patricia: I mean I don’t know. You know, I suspect—and again, this is just my somewhat educated guess having worked on this book so much—but I suspect it depends on the body. How resistant or how good is our body at getting rid of the chemicals? So you asked about stress. You know, when you have stress, I don’t know. This is again my guess. But if you have lots of stress, your body tends to hold in the toxins and whatnot, you know? So how good are you at getting rid of the toxins? How good are your cells at saying, “Yeah, no thanks,” because eventually, see, they don’t… It’s not a mutation. This is what’s interesting is that this is not a mutation of the cell; it’s just this cell replicating itself over and over and over again. It’s an out of control replication. And again, I don’t understand all the microbiology. You’d have to talk to Dr. John Hall, who is the microbiologist on staff at Natural Source and the Beljanski Foundation. But if you think about it, it probably depends. Why does one person…? Why are they able to handle an enormous amount of cigarette smoke? Why are they able to smoke all their lives and not ever have anything wrong and then you have somebody else having emphysema and dying of lung cancer? You know? Why is it? Who knows? Justin: Yeah, it’s interesting. I suspect that all of these things, to some degree, lower the immune system and cause these things to happen, even if it’s just a small amount that we’re exposed to. So it’s probably imperative to make sure we live stress-free lives or do the best we can and mitigate these affects somehow. Patricia: Exactly. And doing that and in the book we talk about the importance of detoxing—constantly doing things to get rid of the excess chemicals in our body, because that can cause stress in and of itself. I was listening to your commercial on the sauna and I’m a huge fan of saunas because you’re right, if you do it right, you can get the stuff that’s stored in your fatty tissue to release itself. And so there’s a purification program out there that does exactly that and it’s highly beneficial and you can think clearer and you can sleep better, and so you do that and you’re less stressed because you can handle all the randominy [sp] in your life better, you know? So it kind of all… It all adds up to a good thing or if you’re not doing it, it all adds up to a very bad thing. Justin: Yeah, it’s interesting. And so what’s going on with the enzymes that are involved with this DNA? Is there a connection there? Patricia: No data. Again, that’s a John Hall question. Sorry that I’m not being able to give you like the really deep science on this. I understand the DNA and I can talk to you about how the Beljanski botanicals work, because what they do is they cause the apoptosis, but as far as the enzymes are there, the enzymes are there and it’s what do enzymes do? They’re catalysts. So you know a catalyst comes in and it tells something… It says, “Do this chemical reaction” and it itself is not changed. And enzymes are great. I love taking enzymes because they can get rid of candida, they can get rid of chemicals—they can do all sorts of wonderful things. But they’re just doing what they’re chemically engineered to do—naturally chemically engineered to do. So the enzymes itself are like who knows? What I know from my research and all the things that I had to do with the cancer book is how is DNA affected by a carcinogen and why are these botanicals so powerful? Justin: Right. Is Mr. Beljanski, is he still alive? Patricia: No. He passed away in 1998. Patricia: That’s another very horrendous story. We’re all very familiar with how entities like the Food and Drug Administration don’t particularly like stuff like this. Patricia: Dr. Beljanski… Francois Mitterrand, the then president of France—of course he was president for something like eight years or 12 years—he had prostate cancer. And there has been a lot of study… There has been a major study done at Columbia on Beljanski’s botanicals in prostate cancer and its effectiveness. So and this was… But Mitterrand came before that study at Columbia. Mitterrand gets a hold of the Beljanski stuff because it’s very well known in France, kind of in the underground. People are like, “Oh, you know, you’ve got six weeks to live? Try this stuff.” And so through a series of events that… who knows? It’s all very hush-hush and undercover. Mitterrand starts taking this stuff, gets better. His cancer goes into remission. He’s able to do his job. And because Mitterrand is taking this stuff, Beljanski’s not touched by the French government, even though the French government was very keen to shut him down. The story that begins Cancer’s Cause Cancer’s Cure is about a reporter who was sent to destroy Beljanski can’t because he can’t find anybody who has anything bad to say about the stuff, ends up getting cancer himself, takes the Beljanski stuff and lives. Well, he’s sent by his good friend who is a VP of a major pharmaceutical—it’s never named—and so the pharmaceutical companies didn’t like this because they recognized that they were losing money. Cancer, of course, is a multi-billion dollar business worldwide. And so… but because Mitterrand is taking this stuff, Beljanski is able to work to get his botanicals very close… He was very, very, very close to getting the French equivalent of FDA approval. Mitterrand dies. The French government literally sends in a SWAT team and takes his lab apart, confiscates the botanicals, confiscates his research, puts him under house arrest. Monique, his wife—his widow—talks about this and it was like it was just can you imagine? Talk about stress. He was old at that point. He was about 70 years old. They finally let him go but they kept all of his stuff and he died, I think, two or three years later—I can’t remember exactly—but he died in 1998 of lymphoma. Now would he have been able to handle the lymphoma with his own botanicals? Perhaps. His daughter says it’s hard to say. He was old at that point and so who knows? But he wasn’t able to take them because the French government had confiscated them. Subsequently, Monique and Sylvie sued the French government and won a human rights abuse case, which I thought was fantastic. And with the settlement, they then set up the Beljanski Foundation. They brought the whole operation over to America because America wasn’t nearly as stringent. We have open law still, thank goodness, about things like supplements and so they were able to take the research and Beljanski spent many, many, many hours with Sylvie recreating the research going through because they had nothing at that point. I think they have recovered some of the research but if I remember right—and I’m not exactly sure—but I think that they have never recovered all of Beljanski’s research. I think. They may have it now, but I don’t remember. But they were able to have enough so that they could recreate the stuff, they bring it over to the United States and then they have to come up against the FDA and they have to do all new research because American cancer institution—that would be the best way to put it—said, “Oh no. We can’t accept French research. You have to do research.” I mean this thing had… There were papers—133 published, refereed papers—in major microbiological journals, published on this stuff. Justin: Wow. That’s amazing. You know it’s amazing when you’re talking about that. I was just thinking about how this has happened to so many people. I mean you look at… I mean Nikola Tesla wasn’t a cancer guy but he had technology they didn’t like. They did the exact same thing to Burzynski down at Houston and Greg Caton down in Ecuador and Dr. Bob Dowling. I mean you could put together a list of 100 people. Patricia: Oh sure. Well, why do you think the Gersons have to be in Mexico? Justin: Yeah, exactly. It’s amazing how it doesn’t cross borders, you know? Patricia: Because here is the scoop. Here is what I think. Well, after having written this book—worked on this book so long—cancer no longer scares me because I know that it is curable. You can handle cancer. But people get so afraid and I think that the cancer industry loves this. Talk about a cancer industrial complex. Patricia: You know? This is huge business. They get to… All the chemotherapies and the radiation, I mean these are very expensive drugs to produce and they’re very expensive drugs to take. I mean you’re charged $100,000 for your drugs if you have to go through chemotherapy. They’re making beaucoup bucks. They don’t want somebody coming along and saying, “Oh, actually all you have to do is kind of detox.” You have to pay attention. I mean it’s not something that you mess with, but you know, you have to do the work but you detox, you take the right supplements, you take the right botanicals, and there is a darn good chance that you can get your cancer to go away. Justin: So if you were talking with someone and they wanted to prevent cancer, what are some of the things that you would talk to them about? I mean I know obviously detox, but what kinds of things specifically would you recommend, do you think? Patricia: Well, the first thing is… This is again me personally. I know Morton—Dr. Walker—is a big believer in chelation therapy and the Gerson Therapies, doing the coffee enemas. He even tells you how to do the coffee enema in the Cancer’s Cause Cancer’s Cure book, because it does—it cleans your liver out. Getting yourself cleaned out. I would recommend sweat programs with vitamins and fats and stuff to get the stuff out of your body—just the basic stuff. Eat well. Eat vegetables. Don’t eat a lot of crap. And then again, yearly do something. Take Beljanski botanicals so that it can correct and it can kill the cancer… these out of control DNA stuff that’s probably going on in all of our bodies to some degree. Do I know this for sure? No. But this is what I surmised after working on this book is that we live in a pretty toxic world so we probably have some of this stuff going on. So you take this stuff to get these out of control cells to finally die and then you don’t have to worry about it, and you feel really… I mean I felt really good after I had taken those two boxes. Justin: Are the supplements that you take—the botanicals—are they something that you would be on ongoing or is it kind of a once a year thing? Patricia: Well, preventative, I would… I do it once a year. If you have had cancer, I would talk to Natural Source to see what they recommend, because I know people… We have stories from people—I don’t know them personally—but we have stories from people in France who have taken the Beljanski stuff off and on for 25 years because they had pancreatic cancer, they had uterine cancer or prostate cancer or colon cancer or whatever kinds of cancer, and so they take it as a constant insurance to make sure that the cancer cells don’t come back. Patricia: But again, that would be something I would talk to Natural Source about. Justin: This is good stuff. We’ve got to take another break. Very fascinating information. 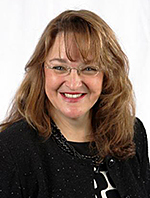 We are going to get into some more of this great information right after this break and we’ll be right back with Dr. Patricia Ross, right after this break. Justin: I have to say I have been absolutely loving this product by Tristan Truscott and Peter Ragnar called Good Morning Good Evening Qigong. If you want to listen to the interview we did with Tristan, you can go to www.ExtremeHealthRadio.com/127. And Qigong is a great way to distress the body and as you know, there is a huge component to disease caused by stress and stress is a huge factor in how we live our lives and the amount of energy we have and the amount of vitality we have. And so Dr. Shade, what do you think about Qigong? Shade: People come to me and they’re really sick and they’ve got this blown-out neurological system and all this toxicity and I tell them “You need to do Qigong Tai Chi. You need to do these things that settle down and restore your neurology because it puts together all the parts. It puts you back into that state where you can start to detoxify. And so I highly, highly recommend all that. Justin: And what about you, Kit Campbell? What do you think about Qigong? Do you like it as well? Kit: Qigong is amazing and the reason that I believe it to be amazing is everything here is energy. That is a scientific fact if there ever is one. So when you’re practicing Qigong, you’re actually drawing energy into your body. Your intention—whatever your intention is behind any action—will determine the level of energy… type of energy… that you absorb into your body. So your intention behind you is very important, just like thought. So when you’re practicing Qigong, you’re actually bringing energy in and you’re bringing out the stuff that might be a bit stale. With Tai Chi it’s totally different. The energy runs underneath the skin because it’s more of a—this is a Chinese understanding, by the way—it’s more of a martial art. So Qigong is very, very good for bringing that energy into the body and just fantastic. Justin: If you’re interested in picking up this Qigong course by Tristan Truscott and Peter Ragnar, go to www.ExtremeHealthRadio.com/Qigong and you can learn more about it. There is a great video on that page and you can learn more about it on that page and I highly, highly recommend this product. I love it myself, so go ahead and check that out at www.ExtremeHealthRadio.com/Qigong. 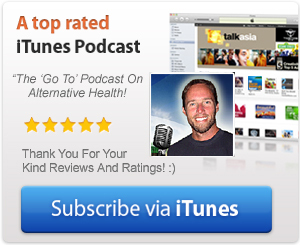 All free shows, all the time, on Extreme Health Radio, opening minds and transforming lives worldwide. Join our community today. Sign up to our email list and instantly get our free gift to you, along with loads of inspirational content and cutting edge tips to help change your life at www.ExtremeHealthRadio.com/Subscribe. Justin: All right. We’re having a great time here with Dr. Patricia Ross and we’re talking about Dr. Morton Walker’s book called Cancer’s Cause Cancer’s Cure. It sounds really fascinating. It’s interesting, Kate. I had never heard of Dr. Beljanski. Kate: No, I hadn’t either. Justin: And we’ve been involved with this forever and I feel like there are just so many things that we haven’t heard of yet. Kate: I know. This is great. Patricia: But think about Beljanski. He was doing this research in the ‘60s. I mean this is the basic stuff. And then think about like DNA research has never changed. This is the basic science of what happens to DNA in the presence of a carcinogen. Justin: Interesting. So we were just looking, during the break, for that website, Natural Source. Could you let us know…? We tried NaturalSource and it didn’t come up. Patricia: Let me find it. It’s really interesting. I had to laugh because I was like, “Okay, I want to make sure that I’m sending everybody to DrMortonWalker.com. Oops, Google Chrome could not find DrMortonWalker.com. His website’s down too. Kate: Yeah, we’ve been looking at him all morning, actually. We haven’t been able to pull him up. Patricia: Isn’t that just something? Patricia: So yeah, like you said, there are forces… But this is what I’ve always recognized is like you know, you just keep pushing through and those forces can’t keep you down and then people want to know about it. The nice thing about this book… And we’ve had… There was another blogger who does a major cancer blog and he said that this was one of the easiest reads that he’s ever experienced in terms of cancer and what happens with cancer. And again, because Beljanski wasn’t looking at the genetics of it and the mutational aspect of it, he was looking at it at the more fundamental level of just when DNA replicates itself and that’s the main difference with Beljanski’s stuff versus a lot of the other stuff. And it was interesting. The first thing he did is actually developed a test called the onco-test to test which substances were carcinogenic and by that… And he says, “Wait a minute. If I can reverse the test, that’s when I can go out and find these botanicals that are going to then reverse the process” and that’s what happened. Yeah, it was fascinating. I mean this man is… He’s a genius. He should have won a Nobel. He really should have. Justin: Wow. So what substances are the most carcinogenic? Patricia: Oh, I don’t know which ones are the most carcinogenic. The stuff that everybody talks about—chemicals. Justin: Fried foods, chemicals, exhaust, gasoline—all this kind of stuff. Patricia: Yeah, all that stuff, you know? It’s like plastics, any kind of outgassing that can happen with formaldehyde in carpets—all that kind of stuff. I don’t think… This was the other interesting thing is that Beljanski’s onco-test, he set it up to say, “Hey, here’s a test.” Well, of course the industry didn’t like it because so much of what they were producing was tested to be carcinogenic according to this onco-test. Patricia: So they didn’t like it. They liked this other… The other test… I’m trying to remember what it is—what it was called—but the other test was only about 30% accurate. Justin: Why was it only 30% accurate? Patricia: I’m trying to look in the book. And Mort put in a table of the short list of carcinogens. It’s on page 74—solar radiation, nuclear radiation, irradiated foods, cellular telephones, industrial toxins, pesticides, herbicides, swimming in polluted water, chlorinated tap water, use of certain antidepressants, immunosuppressive drug usage, dietary deficiencies, parasites, industrial glues, dyes, solvents, epoxies, thinners, strippers, reducers and other chemicals, hormone therapies such as recombinant bovine growth hormone in dairy milk, mercury from several dental amalgams—that kind of stuff. It’s your usual list. Justin: Right. It’s the same list we hear all the time. Kate: Yep, and you wonder why we’re all sick. Kate: Or why we all have to detox, I should say. Patricia: Yeah, you just have to continually… And you know that you have to do it and I mean it’s kind of a pain to do it, but you feel better afterwards and you’re careful about what you put into your body, you know? And it’s just kind of, I think me personally, I think some people just go overboard because you can get stressed out about “Oh my God! I ate that!” or whatever, because I would do that stuff and I’m like, “You know, wait. That’s not doing me any good.” The whole point of this is to be able to enjoy life. Justin: Right. And do a little bit that we can do to get these things out of our lives, doing our best to get rid of plastic so we move more towards glass—that’s a big thing for people. Patricia: Sure. And just common sense kind of things and know that there are supplements out there like the Beljanski’s botanicals. And unfortunately we’re going to run out of time, because it’d be really… It’s interesting to talk about the two botanicals that he found, Rauwolfia—it’s a horrible name—Rauwolfia vomitoria. Can you imagine? It’s an African plant. It’s a bush plant. And then the other one is Pao d’arco, which is the bark of Amazon rainforest tree. Of course, because the Amazon rainforest has given us so many of our fabulous, helpful remedies. And there’s another one. Kate: So Dr. Ross, how do people get a hold of these botanicals? Patricia: Well, I’m trying to find out. Patricia: I have to use my hands when I talk. Patricia: Let me find out exactly because… The Beljanski products, you can go to www.Natural-Source.com or they’ve just put up a new one at www.BeljanskiProducts.com and I’m checking to make sure. Yep, there he is. And you can also just search the web for “Mirko Beljanski” and you’ll find out all sorts of really lovely things and you could go to his foundation’s site and the foundation’s site will then lead you back over to Natural Source. So it’s Natural-Source.com and then of course that’s all in the book, Cancer’s Cause Cancer’s Cure. Justin: So Beljanski is B-E-L-J-A-N-S-K-I. BeljanskiProducts.com. Excellent. Justin: So is the book available? Was it just published recently and is it available in e-book and in regular print versions? Patricia: Yes, it is e-book, regular print. You can get it on Amazon and BarnesAndNoble.com. You can go to your local bookstore because it’s all in their system, so you can order it there. It may or may not be in bookstores. It’s always hard to say. It depends on how well it’s selling in various places. But yes, the e-book is available on Amazon through Kindle. You can also actually buy it on the Beljanski site and that will send you to Amazon. It’s just a fascinating read because it’s a story of governments trying to shut down research that’s helpful. It’s a story about a man’s unbelievable persistence to do the right thing for humanity, you know? And he wanted to actually help the medical profession. Patricia: You know? He was a microbiologist. He wasn’t a natural guy. He was a microbiologist. He knew that this stuff was going on and he wanted to help people and he did. He’s helped thousands of people. Thousands and thousands of people have taken this, especially over in France. I know a number of people who have taken it here. One gal I know, her husband was testing very high for prostate—you know, the prostate test and the blood test and he had the high whatever count that was in his blood test—and I said, “You know, I’m doing this…” It was right when I was starting doing this book and I told her, I said, “You know, I’m doing this book. You should get a hold of this Beljanski stuff.” Well, he did and his count went from like 24 down to something like 6. Patricia: It just totally… Yeah, which is in total normal range, you know? So he goes and he lives… You get to live your life again. You don’t have to worry about cancer because it’s like… Well, you know from your mom, Justin. You get that “My God, they have cancer. Are they going to die?” and it’s very scary. Patricia: And we don’t want our loved ones to die. We don’t want to have to do that. But you know, there is stuff out there like the Beljanski stuff that handles the problem. Patricia: Well, think about what cancer… Cancer—what I learned… Again, this is what the microbiologist would be able to talk far more intelligently about, but just from a lay perspective, what I did learn is that somebody might have breast cancer, but one type of treatment for breast cancer doesn’t do it, but the other type does. So cancers are kind of a very personal thing because again, they’re not a disease. They’re not a bacteria that invades your body or a virus that invades your body. Rather, it’s this cell out of control growth. By the way, the Beljanski stuff—we haven’t really talked about this at all—but it’s in the book; there’s a whole chapter on it… It actually puts AIDS into remission as well. Justin: And so what is the exact formula…? Patricia: It handles it because of whatever it… It does handle that virus—whatever that retrovirus is and I really don’t know the science about that. You’d have to read… The book talks about a woman who had a bad blood transfusion and she got really sick and she got AIDS and she took the Beljanski stuff and she is now alive. I don’t think she ever not takes this. But she is alive again 20 years later. Justin: That’s amazing. What is the formula? Is it a series of a bunch of different herbs or what exactly is it? Patricia: No. It is a proprietary formula that is an extract—from what I understand; again, John Hall… You should have John Hall on. He’s fun. He’s a very interesting guy and he is the microbiologist who can tell you more of the science of it. But it’s an extract from these plants and so there is synergistic stuff that’s going on and it’s part of the alkaloid… It’s the alkaloid that he found that is the thing that makes the cell go into apoptosis, but here is the interesting thing—and you know this all from your research and all this stuff that you’ve done with natural healing. You can’t chemically isolate that alkaloid because it doesn’t have this synergistic effect with all the other stuff in it, right? Patricia: So that’s what medicine does is it takes something that works from nature and they extract out whatever the chemical compound is that’s supposed to be the magic bullet, but then it never seems to work as well because you never have the synergistic effect of all the other stuff that’s in the plant, you know? Justin: Yeah. Yeah, they simply just extract it and then they magnify it by a million times and then they don’t have the buffering compounds that are involved that causes it to work, like you just said. And then they synthesize it and then wonder why there are all these side effects, you know? Patricia: Yeah, you’re right. It’s like, “Why doesn’t this work so well?” Well, because you changed it, you silly. So anyway, no, it’s like that’s the beauty of this is that it comes straight from this African bush plant and the bark of the Pao Pereira tree. Justin: Wow, that’s amazing. It’s amazing that a guy like him was able to just do this kind of research and be so meticulous and do so many tests and figure out what works and what doesn’t, isn’t it? Patricia: I know! It’s like it’s such a testament to human ingenuity, to our tenacity, our ability to create, because he had to go find this stuff. And I remember asking this question—“How did he find the Pao Pereira? How did he find this?” and this stuff is known in various chemical researches, so he just went and saw like “If it’s this alkaloid, well, what has this alkaloid in it?” And that’s what he went then and found the stuff that was rich in this particular alkaloid. Now the other interesting thing—because I know we have a couple more minutes—is that one of the botanicals—the Pao Pereira… I think it’s the Pao… and I might get these mixed up. There are two. There is the Pao and there’s the R. vomitoria. One of them actually can penetrate the blood brain barrier, so you can handle brain cancers with this and brain tumors. Patricia: The other one can’t because it can’t penetrate the blood brain barrier but the other one can. I thought that was fascinating. The other very fascinating thing with this—and I know that this is Extreme Health and we don’t like to think about chemotherapy and radiation—but one of the last tests that Beljanski did and it was on lab rats was with very low doses of chemotherapy and radiation—very low doses of chemotherapy and radiation are carcinogenic—and he found that it opened up the strands more so that the Pao Pereira and the R. vomitoria could come in and do its work and in lab tests, it had 100% effective rate. Justin: Is that what they would call the “insulin potentiation protocol”—the IPT? Patricia: I have no idea. Justin: The insulin potentiation therapy, I think. Kate: I have never heard of that. Justin: Right. Right. I’ve been reading recently where these particular herbs that Beljanski put together can be used in conjunction with chemotherapy if they wanted to do that and people can use it as an adjunct to their conventional treatments. Patricia: Well, this goes back to the RNA stuff that Beljanski discovered. It’s actually RNA fragments. He would take an enzyme—and I couldn’t tell you which one—but he’d take an enzyme and he’d cleave the RNA so it make RNA fragments and that helps the body produce platelets and white blood cells, which of course platelets and white blood cells are the things that are destroyed in high levels of chemotherapy. And they have done studies on this. There are scientific, actual clinical trials done on the RNA factors, as they’re called. And the people were able to take higher doses of chemotherapy and radiation when they took this because their bodies didn’t suffer the bad side effects because their bodies could keep their platelet counts up and their white blood cell counts up. And so you could do that. The gingko eliminates the problem with the scarring that happens with radiation and of course that’s important with radiation treatment in cancers and then you get the botanicals that are actually killing the cells, and you’re kind of giving your body a nice powerful one-two punch. Justin: Wow. That’s interesting. So that would be a really good thing for people who perhaps are more close-minded and want to go the conventional route. They could do this. What about people that have had cancer? Let’s say they’ve had cancer and they’ve had the chemotherapy, the radiation previously and they are still alive, which is great, and then they kind of wake up and they understand this natural stuff. Would these botanicals help to repair some of the scarring that’s happened from the…? Patricia: Yes. Not the Pao Pereira and the R. vomitoria. That’s to handle the DNA that’s gone amuck, basically duplicating amuck—running amuck. But the gingko and the RNA factors absolutely can help repair that. And again, the guys at Natural Source, Natural-Source.com, they’re great. They’ll say, “Yeah.” And this is a supplement and you need to do this, but there are ways to repair the damage in our body. Our bodies are amazing machines. Justin: Ah, that’s amazing. So this book is available, like you said, on Amazon, but do you also sell it on HugoHousePublishers.com? Patricia: Yes, we sure do. HugoHousePublishers.com and we do link to Amazon and Barnes and Noble. Since it’s Christmas, go to Barnes and Noble because sometimes the printing—the whole backend printing thing—can get kind of wacky with Amazon, so you’re going to get your book faster through BarnesAndNoble.com. It was a journey. It was a journey to work on this book and to come up against my own prejudices and whatnot because I am not conservative when it comes to medicine. I am a natural girl all the way, have been for many, many, many years. So I had to go and look at how I thought about chemotherapy. And as I said, I had just lost my best friend. She had… The cancer started in the muscle by her breast. It wasn’t breast cancer. It was in the muscle tissue, which is just a horrendous place to have cancer. And she had done all this natural stuff and I was like, “Wow.” And I went, “You know, if you have cancer,” I’m like, “Maybe doing a low dose of chemotherapy when you’re doing all this other stuff might be worthwhile, because you want this stuff out of there and you want to get this stuff out of there.” But the most important lesson that I took from the book was that we have to keep our bodies cleaned out because if we’re cleaned out, then those carcinogens can’t do their thing on the DNA to begin with. Justin: That makes sense. You’re protecting the DNA from the carcinogens and then also people can work on lowering their exposure to these carcinogens too. Patricia: Because like you said, talk about exposing yourself—you’re like, “Okay, why?” Why would you want to do that, you know? This is more of wow, there are… What I like about it is it puts us back in the driver’s seat. Justin: Yeah, that’s what I like. That’s the whole point of what we’re doing here and it’s just to empower people to realize there are cures for things. Well, I shouldn’t say “cures.” There are no cures. The body is the only thing that cures. But there are great options for people and I think that’s what I like. Like you said, it puts us back in the driver’s seat. Justin: It’s an amazing place because for so many years, we all get so scared of cancer and hope it never happens to us but don’t know what we can do to prevent it. Justin: There are lots of things. Kate: Well, rightly so when you don’t know. Patricia: And I laughed. I have a confession. I did ask Dr. Hall… I said, “Dr. Hall, if this stuff handles the AIDS virus, what does it do to the common cold?” and he says, “We haven’t researched that” and I said, “Oh.” I said, you know, “If it’s handling viruses…” because think about it. People are very afraid now. I don’t know how political we want to get, but you know with the whole healthcare stuff. Actually just had this conversation with somebody. She says, “Well, you know, people aren’t going to hospitals that much because they don’t want to get the bill” and I said, “Well, I wonder how many of those people are turning to natural medicine” and she says, “I never thought about that but tell me more about that” and I said, “Well, you know, my daughter just had the flu. I didn’t take her to the doctor. I gave her the herbs that I know that work. I kept her warm. I let her fever run.” I don’t let it get super, super high, but I let the fever do its thing because the fever is killing it. I know how to handle this. I know how… I had a UTI. I knew exactly what to take. I knew exactly what to do. I didn’t need to go get antibiotics. Justin: Yeah, I wonder if that’s going to be happening more and more because they’re almost pricing the average person out of the health insurance game altogether, aren’t they? Patricia: Well, yeah, it’s so expensive and it’s like why spend $100,000 on chemotherapy that may or may not work and it might kill you because this is definitely where the cure can kill you because it kills all of the cells in your body, not just the cancer cells. Oh, that reminds me of a very important point about the Beljanski stuff. The Beljanski botanicals are selective, meaning that they only target the cancerous cells. Justin: That’s amazing. That really is amazing because I can see how if they weren’t, I mean it would be almost like another version of a chemotherapy. Patricia: Yeah, exactly. You’re killing all the cells. But rather this, this targets… this selectively targets the cancerous cells so you don’t get the side effects. So anyways, so you spend $100,000 on chemotherapy or you spend however much money—and it’s not $100,000 by any stretch, especially in the short term—I think the gal whose husband had the elevated PSA counts for prostate cancer, I think he spent like $2,300 or something—something like that. It wasn’t a whole lot of money. I know people who have maybe spent $5,000 but let’s see… $5,000 or $100,000 and the $5,000 gets you better. Justin: With no side effects. Kate: Right. Without the side effects. Yeah. Justin: Well, you know the other great thing too about being put in the driver’s seat is that I think there’s a low level stress that goes on with everyone when they think about cancer and they think about how they may be susceptible to it or it’s in their family—the genetics, they’ve been told—and when you have that low level stress removed from your life and realizing that I am in the driver’s seat, that reduces the very stress that could have caused your cancer. So it’s kind of a cyclical thing. Patricia: You know, that’s very true. It’s interesting. I’m going to have to tune into your next show on stress because it is such a… You know and what is stress? Stress is just… To me, it’s an inability to be able to control our environment, and that could be our inner environment in our body or our environment around us. We’re not able to control it so any time you can put control back into your environment—and control is a very good thing. People think of control as a very bad thing, but control is just the ability I can start something, change something, stop something; I can actually move things around and have some cause over how it turns out. That’s good control. You got that and you’re right—the stress goes away so your body’s ability to fight off weird things that happen… Because the DNA—all sorts of stuff happens with DNA and most of the time your body just rejects it, but if it can’t because it’s too stressed or it has an overdose… too many chemicals or something, you’re right—who knows? Maybe that’s why you get this overgrowth of these DNA cells replicating out of control. Remember the DNA replicating out of control, which means the cells are replicating out of control, and voom—you got cancer. Because it is… Cancer is highly stressful; you know from your mom. Justin: Yeah, relieve all that stress. Patricia: Exactly. Have you ever heard the term “What you resist persists”? Patricia: You know? So if you resist cancer, “Oh my God. Oh, I’m going to get cancer. This is horrible” and you get really afraid of it, you’re resisting it, whereas something like the Beljanski products—do your detoxing, get in your sauna, do the things that you do that gets all the crap out of your body, you take the botanicals, then you don’t have to have any attention like, “Oh, I can’t have this. This is bad,” you know? And you’re not resisting. You’re just like, “Okay, this is it and I’m handling it. It’s fine” and then the problem doesn’t persist. It’s handled. Isn’t that beautiful? Justin: Wow. Yeah, I love it. Kate: That is beautiful. That is beautiful. Justin: Get it at HugoHousePublishers.com or let’s see… what else? Justin: Barnes and Noble, Amazon, DrMortonWalker.com as well, right? Patricia: Mm-hmm. Yes. If DrMortonWalker.com ever… if he decides to let his website come back up, just like they decide to let your website come back up. Kate: Exactly. They linked us together. Patricia: I love it. Well, you know what? Phooey on them! We’re going to keep persisting. We’re going to keep moving forward. Patricia: Letting the world know. But this was so enjoyable. I’m really glad that you had me on so that we can let people know about the Beljanski stuff. Justin: Excellent. Thank you so much, Dr. Ross. We really appreciate it. Patricia: Oh, you’re so welcome, Justin and Kate. You guys have a wonderful rest of your day. Justin: Well, that was a fascinating show, wasn’t it, with Dr. Patricia Ross? Kate: We just powered through that, even though we didn’t know when our site was going to be released. Justin: Golly. That was some crazy technical issues we had. Kate: It is groundbreaking. That’s a great word. That’s a great word. Justin: I never heard of Dr. Beljanski. Justin: Yeah. This is so great. I mean I’ve been… I was thinking of—at the same time—a list of these doctors, like Dr. Harry Hoxsey with the Hoxsey Formula was another guy they railroaded along with Burzynski and everybody else, but yeah, just really fascinating information and like she said, I think she kind of wrapped everything up—it puts us back in the driver’s seat. Justin: I think that’s the whole goal of what we’re talking about. Justin: And you know what? It was interesting. I wonder… She mentioned at the very end about $5,000 or… I’m not sure if these supplements are very costly, but there is a website that I think you should check out and it’s called Green-Surance.com. Kate: I’ll look it up right now. Justin: It’s a brand new website that’s offering a holistic bent, I should say, or a holistic option for people for healthcare and I think it’s ObamaCare compatible so that you can have this instead of ObamaCare. Kate: Right. You’re exempt from it as long as you’re part of it. Justin: We want to get the lady who is spearheading this entire effort on the show so we can talk about all the different options people have. Kate: It is. And I was checking it out. It looks like it is very close to not going live but being released. Kate: Launching. They need a lot of signatures. They need a lot of people showing interest. It’s really worth checking out because yes, I mean the first thing… If I was diagnosed with something, I would get the book we were just talking about, honestly, and there are a lot of other modalities I’d probably look into as well. But then I would look into going to a place like Gerson or a place I want to go to and with this kind of insurance or options, it’s just great to know that we could take it back—you’re right—have our supplements covered that we want to… whatever route we decide to go. It’s our life. It’s our money. It’s our vote. And we should be able to be able to go where we want, treat our bodies how we want. Justin: Right, because what if you don’t want to have chemotherapy and radiation? Kate: I know. Green-Surance seems like a great option for all of this. Kate: I think that’s right… interested in it. Justin: People are… It’s going to do one of two things, I think. People are either just going to… It’s going to polarize people and the people that can’t afford insurance are just going to not go to the doctor. Justin: And so it’s either going to cause people to want to figure out natural cures for things or it’s going to cause these same people to not go to the doctor, not go and see their medical doctor, but then be too lazy or not have enough knowledge to know there are natural cures. So it’s going to do one of two things to people, I think. Kate: Yeah. You know what? I think that’s a good point. Kate: The diagnosis is worse than the illness probably. It messes with your brain. Kate: We’re handing them the keys is what we’re doing. Justin: We’re handing them the keys. Yep. You know? It’s really important to take control. Like she said, control is not a bad word. Justin: You know? I mean you look at everyone and people talk about control issues and they think “Oh, type-A” and this kind of thing, but… And in one sense, maybe in a social sense where if you’re gathering with a bunch of friends at a restaurant or bar and you want to control where people sit, yeah, that’s a problem. But taking control of your life on every level, I mean that’s imperative. Justin: There is a difference. Kate: You have to. You have to. Justin: Yeah, you have to. Justin: She was great, wasn’t she? Kate: She was very, very knowledgeable and obviously, I mean the whole story makes me want to go out and buy the book. Kate: To hear about… I mean it’s so sad that we haven’t heard of Beljanski, but everyone knows of Ronald McDonald. Like how sad. This man should have—like she said—should have won a prize. Justin: I’ve been—since 2003—I’ve just been listening and reading and attending conferences and reading books and all this stuff with natural health and I have never in ten years heard of this guy. Justin: You know who would be great to have is… What is the…? Rene Caisse, but she’s no longer alive, I think. Kate: Well, that would be kind of hard to have her on. Justin: We could patch her in through Chris Kehler. Kate: I was just going to say. Justin: Back from the dead. Kate: That was the next thing going to be out of my mouth. We could have her on through Chris Kehler. Justin: Hey, with Chris Kehler, all things are possible. We could have Beljanski on the show through Chris Kehler. Kate: Oh, you’re killing me. Oh gosh. I love it. Justin: But there are so many things to do for cancer and for preventative measures, you know? Justin: And like we talked about during one of those commercials, people can do the Qigong. Talk about a great stress release. The Qigong is just incredible for that. And the sauna, like we talked about on the break. I mean it’s just… The list goes on and on and on and on of all the different things. Kate: There is an infinite amount of possibilities for stress relief. I mean my three-day solitude retreat I just came back from, that was like the most… the biggest letdown and release I’ve been able to have in a long time. I mean I never would have thought that three days would have done so much for me and my body has felt that, you know? And it’s changed me. So everything we’re doing… I mean just even the intention of like squeezing a lemon into your water—the intention of what you’re doing at every moment, just one moment at a time—you’re doing all these amazing things that are… I don’t know. Justin: Yeah, it’s amazing. I mean if you do stuff like that… I think if you do it with intention… Like David Wolfe said that… What was the quote that he had from Muhammad Ali… or Mike Tyson, I think it was? Justin: I throw every punch with mean intention. So if you’re squeezing… Like he’s in a fight. Why waste a punch? I mean it takes a lot of energy to punch. And if you are accurate on 50% of your punches and you throw 600 punches, you’re wasting 300 punches that are going to exhaust you. And so why not—if you can knock the guy out with one punch, like David Wolfe was talking about—why not do it? So when you’re squeezing the lemon, do it with intention. Justin: Talk to your body. Kate: Well, even that every morning—or whenever the mornings are that I do the lemon with water and the hot water and all that—I always think, “I could just have a glass of water right now or I can do the extra step and just have a lemon. It’s that simple.” And that’s simple. It’s an intention. Justin: It takes you what, ten seconds to cut open a lemon and do that. Kate: Right. But yet sometimes I’m so lazy. Justin: Yeah, you don’t want to do it because you tell yourself you’re lazy, but you’re not. Kate: Right. And whenever I do it, it always pays off. I always feel like “That was something intentional proactive I just did for my body and it took five seconds.” I mean imagine… That’s just a small example of… That just leads to the bigger picture of all the other things we can do with intention. A little bit of intention can save your life and take you a long way and get you places you never dreamed of. Justin: Yeah, because it’s almost like adding the placebo effect, which doctors say, I think, is about 30% or 40% of the effect. Kate: I think that’s right. Justin: And so you can add the placebo effect, which is basically intention, to everything you’re doing. So like what we do is we take a walk with Maggie through the park. We take our shoes off. Justin: And we know that we’re getting beneficial negative ions from the Earth and electrical energy through our feet from the Earth, and something so simple… I mean it takes no extra effort to do something so small, like you did with the lemon water. Justin: Yeah, I mean it’s the same thing. You could do that with everything in your life. Doing the dishes—maybe while you’re doing the dishes, you take command and you take control of your thoughts and you tell yourself positive things that you could tell yourself. You can talk to yourself in a positive way. You take nice, long breaths while you’re doing the dishes. Kate: You give yourself affirmations. You don’t buy into the lies. Kate: Yeah, it was just… It was a beautiful picture he painted. Yeah, I mean I’m just going to let that one go. Next. I’m not even going to stop, like when you’re flipping channels on the TV, like “next, next” until you find something that serves you and you pass by the ones that don’t. If we can start to take that kind of control back in our lives, then we’re going to see amazing benefits and outcomes. Justin: Oh yeah. I think it’s really cool because when you take that approach, it’s not like you’re saying, “Okay, I’m going to replace a negative thought with a positive thought.” You can even do things where you say, “Well, I’m going to replace a negative thought with a thought about how to figure something out.” So you get into kind of research mode in your head and you can start thinking, “Okay, I have this diagnosis. I wonder what’s going on with the liver? I wonder if it’s a liver issue or kidney issue? I wonder if there is…? I’m going to try and see if there… Would a cleanse be good?” And you can start thinking like that, just trying to figure things out instead of going down Negative Highway. Kate: Right, because that only increases your proactivity. It’s not like you’re stagnant and giving over to the detrimental side of thinking. Justin: Yeah. I’m going to get some of those herbs. I think it’d be great to get some of those herbs, wouldn’t it? Justin: Just to have kind of handy for family members or friends or things. Kate: Well, isn’t it…? Oh, and your mom, you know? Having had gone through chemo and radiation. It sounds like it’s an amazing thing to help people who have made it through that. I thought it was fascinating too just the amount of research and just the… You know how she was talking about how he went in and the gingko biloba tree had to be the fall leaves, not the… I mean these people were on it. It wasn’t like they just found the gingko tree and were like, “Let’s go for it.” They must have studied this tree and picked apart this tree and these herbs and just these awesome products that are God-given—things that are meant for our use—and I just really value that. That just resonated with me when she said that it had to be the autumn leaf. Kate: Oh gosh. Like that’s the detail that goes into this kind of treatment. Justin: You know, it’s interesting too, along the lines of that—speaking of intention—I mean if we really had a government and a political system and a social structure put in place that actually cared and wasn’t profit-driven, could you imagine what things could be done? Because if you think about the botanicals that are being used in this particular situation to cure… well, not cure cancer, but help the body cure itself of cancer, right? Those botanicals are probably watered with municipal water. You know what I mean? Justin: That has fluoride and things in it. Justin: And look at what they still can do. And imagine if you put intention… If you put David Wolfe in charge of the orchard or Marjory Wildcraft, who we had, and they’re feeding these plants and these trees and these shrubs and all these herbs, they’re feeding it ocean minerals and they’re feeding it rock dust. Could you imagine how incredibly powerful we could take these medicines on a whole new level? Kate: That paints such a picture. Justin: We would never have cancer. There would never be cancer, heart disease. None of these things would even exist. They wouldn’t even exist if we were able to do things like that. I mean it’s incredible. I mean it’s incredible to me that such cures can happen. It’s almost like if someone cures themselves of a disease by drinking tap water and you’re thinking, “Oh my gosh. Look at what the body can do.” God has created this amazing body and it uses a substance like tap water. Kate: Right, that’s less than beneficial and it still is able to bounce back. Justin: These herbs are so powerful. Justin: I mean imagine if you did everything correctly, you know? Pretty cool, you know? Justin: I want to get some of these things. So what is it, BeljanskiProducts.com? Kate: That was just a pleasure having her on. Justin: That was a lot of fun, wasn’t it? Justin: Wow. We’re going to run right out and get some of those herbs. Kate: You know what? Might be on my to-do list today. Good old anniversary herbs! Kate: We are doing something today though that’s really good for our anniversary. We’re going to get massages. Kate: It’s going to be a great health day for Justin and Kate. Justin: Yeah, it’s going to be great, isn’t it? Justin: And we’ll probably make a juice too? Kate: Oh, I’m making a juice really soon. Justin: Yeah. We should do that… Have you had breakfast yet? Justin: We should do that. Kate: Let’s go knock it out. Justin: …of their own health. So we really want to fortify and empower people to know that they can control their own health and they don’t have to be scared of cancer. Kate: I love how she claimed that she isn’t scared of that, you know? Kate: When you have somebody speak with such authority over such a fearful image… And by the way, our website just came back up. Justin: Did it really? No way. Are you kidding me? Justin: Oh my gosh. Let’s see… Is DrMortonWalker.com up too? Kate: Can you check it? Justin: I wonder if they knew… I mean how is that that his website…? Kate: That is the weirdest thing I’ve ever… If it is, I’m going to trip out right now. Justin: Let’s see. Let me just do a search here. His website’s up. Kate: Well, the way my life’s going lately, I don’t believe in any coincidences. I just think that it’s the strangest thing. What is that? Justin: Oh my gosh. That’s crazy. Crazy, crazy. Well, whatever it is, it’s all back up. So thank you everybody for joining us and you can catch us on the next episode and it’s time for us to go make a juice, right? Kate: Drew Canole would be proud. Justin: That’s right. We’re in this together. Kate: We’re in this together. Justin: Thanks, guys, so much. And please share this show with your friends if you can. We’d appreciate it. And we’ll catch you on the next episode. Thank you for listening to this episode. It’s time to go for now, but our mission does not end with this show. Justin and Kate will be back with another interview, packed full of ideas, discoveries and unique ways to regain your health. 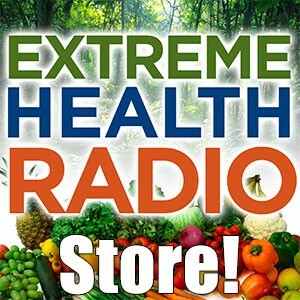 Head on over to ExtremeHealthRadio.com/Subscribe and instantly download our free gift to you that contains cutting edge strategies to start making healthy lifestyle changes today. No material on this blog is intended to suggest that you should not seek professional medical care. Always work with qualified medical professionals, even as you educate yourself in the field of life through nutrition and alternative medicine. I’m not a doctor, nor am I offering readers or listeners medical advice of any kind. None of the information offered here should be interpreted as a diagnosis of any disease, nor an attempt to treat or prevent any disease or condition. While information in this blog and during this podcast is discussed in the context of numerous conditions, it can be dangerous to take action based on any of the information on this podcast or in this blog or to start any health program without first consulting a health professional. The content found here is for informational purposes only and is in no way intended as medical advice, as a substitute for medical counseling or as a treatment or cure for any disease or health condition and nor should it be construed as such. Always work with a qualified health practitioner or professional before making any changes to your diet, prescription drug use, lifestyle or exercise activities. The information is provided as-is and the reader or listener assumes all risks from the use, non-use or misuse of this information. Previous Post Ep #56 – Dr. Doris Rapp – How To Detoxify Toxins From Paints, Plastics, Carpets And Beds That Are Silently Causing Disease Next Post Ep #262 – Dr. Richard Massey – How Unresolved Grief Affects Your Physical Health And Can The Traumas Or Events From 3 Generations Past Have Any Effect On Your Current Health?